The Planet Waves Beatles Signature Guitar Pick Tins features 15 high quality celluloid guitar picks with iconic Beatles images. 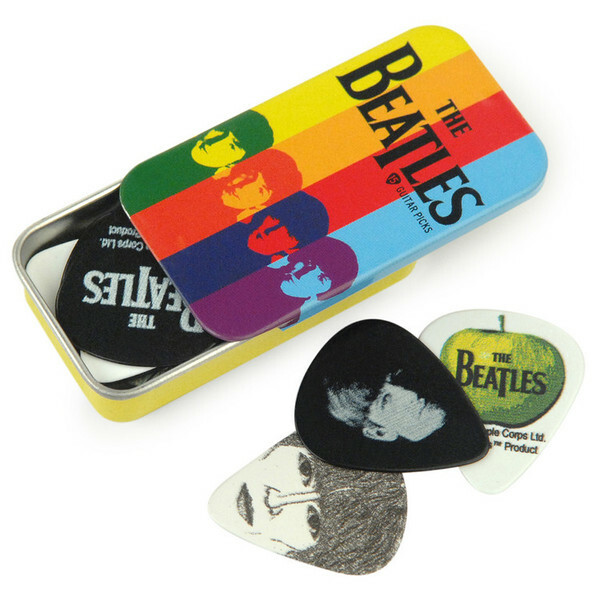 Each pick is decorated with detailed artwork, that Beatles fans will love. The compact storage tin features a striped design and will fit in any guitar case, keeping your picks in one location. The Beatles are renowned for being one of the most influential rock 'n' roll groups in pop music history. Planet Wave pays homage to this legendary band with this superb collection of high quality celluloid guitar picks in a storage tin. Each pick features highly detailed artwork, and is a must have for any fan.